I love my new sunglasses! They arrived on time and were priced well below other retailers. 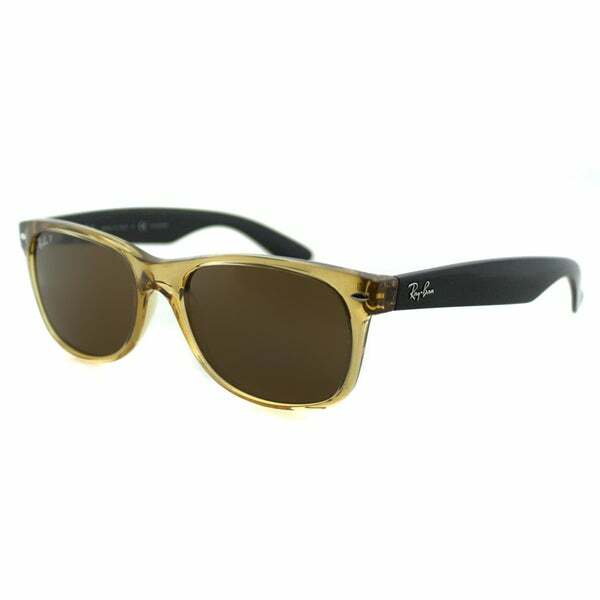 Complete your high-fashion look with these Ray Ban RB 2132 New Wayfarer 945/57 Honey Plastic Brown Polarized Lens 55mm Sunglasses. Featuring honey rectangle frames, these designer glasses offer UV protected brown lenses. Exactly what I wanted, unusual Wayfarer sunglasses that look great, Also as a chance to mix things up from my ray ban aviators, Oakley,Persol. Love this one!!!. This is a authentic Ray-Ban (not knock offs), brand spanking new in the box with case and all paperwork!! This style is timeless. The seller was magnificent and this is why - If the item is exactly as advertised, arrives sooner than expected, is packaged properly and all reasons for a return have been eliminated; then the seller has performed at a five star level !!!! Again superb quality....gorgeous...fast delivery...thank you!! I highly recommend!!! The glasses came in on time as promised and are a fantastic value at a fraction of the retail cost. The polarized lens offer an exceptionally clear view. My daughter in law tried them on and now plan to purchase a pair. Perfect sunglasses! They fit great and have polarized viewing. One of my favorite pair of sunglasses. I know own 3 pairs! These are my favorite pair of sunglasses. They fit well and I love that they are polarized. The color is unique. So happy with my purchase and it was delivered earlier than anticipated. These fell off my head and the lenses shattered when less than 2 months old. Can’t return them and ray ban warranty would charge *** to repair them! 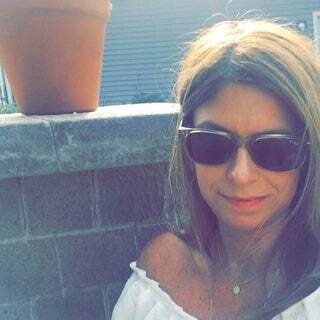 Love these sunglasses for sure one of my favorites. Love the light color of the frame and seem to be a smaller frame 5+ from me on this pair. Typical Rayban. High quality with nice appearance. I have been looking for these for a long time. Overstock had the best price. They shipped them out quickly. The have awesome lenses and they feel great. We found these at the mall for $193, so I was really happy to get them (with coupon) for almost half of that. The glasses are in mint condition. Come with a case. Seem to be the real deal. $120 for Overstock, $190 other locations. Same product. Solid Choice. These replaced a pair lost by my BF. They are unique and He looks so good in them. Authentic and received quickly. Perfect! Love these! Compliments galore! better pricing than anywhere else! "Do these glasses come with original paperwork and a case?" "What is the lens height?" "I appreciate the reply to my question below, however the item you gave me is not what I am looking for # 18734293. those are tortoise , the right size and model WRONG color, I want 945 color which is Honey or Gold as in this model on this page. Looking for 2132 945 52mm"
"Do you have this exact pair in 52mm 2132 945/57 52 ?"